People sometimes say to their home inspector, "You've probably seen it all when it comes to home and building defects." From a buyer's or seller's perspective, a home inspector's knowledge and experience might sometimes appear to be that complete. But in truth, no inspector has encountered every possible situation. And just when an inspector is developing that false level of self-assuredness, something new and surprising emerges in the course of an inspection. 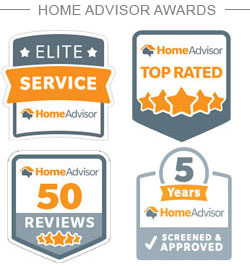 Having personally inspected over 6,000 homes, I've discovered that no one ever sees it all. There's always some new surprise when you least expect it. However, I've also found that there are common types of property defects which rear their unsightly heads as often as the sun rises, not just in older homes, but often in brand new ones, even before the smell of the new paint has become a memory. 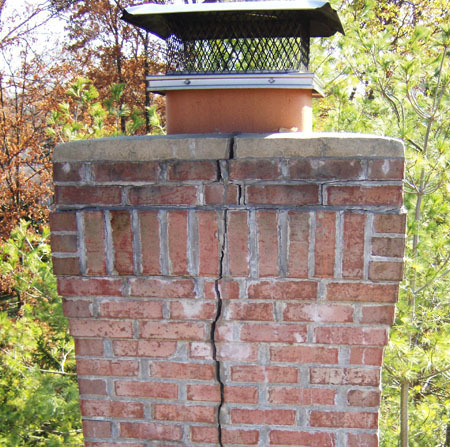 So here is our top ten list of defects likely to appear in a home. Problems with roofing material, either due to aging and wear or to improper installation are likely to be found in the majority of homes. This does not mean that most roofs are in need of replacement, but rather that most are in need of some type of maintenance or repair. Water intrusion into basements or crawlspaces due to ground water conditions: Such problems can be pervasive, difficult to resolve, and sometimes very damaging to buildings. Correction can be as simple as regrading the exterior grounds or adding roof gutters. Unfortunately, major drainage improvements are often the only practical solutions, requiring costly ground water systems such as French drains designed by experts such as geotechnical engineers. Electrical safety hazards, especially (but not always) in older homes: Examples are ungrounded outlets, lack of ground fault interrupters (shock protection devices), faulty wiring conditions in electrical panels or elsewhere in a building, etc. Such problems may be the result of errors at the time of construction, but very often they are due to wiring that was added or altered by persons other than qualified electricians. Rotted wood at building exteriors and at various plumbing fixtures: In places where wood stays wet for long periods, such as roof eaves, exterior trim, of decks, around tubs and showers, or below loose toilets, fungus infection is very likely to attack, resulting in a condition commonly known as dryrot. If left unchecked, damage can become quite extensive. Homeowners will often tell a home inspector, "We added the garage without a permit, but it was all done to code." This statement is a red flag to most home inspectors, because no one could possibly know the entire building code, and the average person without professional involvement with the code is likely to know very little of it. Whenever an owner offers code assurance, I know that problems are likely to be found. In most localities, less than 5% of all water heaters are installed in full compliance with plumbing code requirements. Violations can include inadequate strapping, improperly installed overflow piping, unsafe flue conditions, or faulty gas piping. It should also be remembered that today's water heaters are designed to have shorter longevity than in times of yore. In fact, leaks can develop in units that are only five years old. Most gas-fueled heaters are in need of some maintenance, if only the changing of an air filter or a long-overdue review by the gas company. In some cases, however, gas heaters contain life-threatening defects that can remain undiscovered until too late. These can range from fire safety violations to the venting of carbon monoxide into the building. A cracked firebox, for example, can remain undiscovered unless found by an expert or until tragic consequences occur.